Lahore School of Economics students exchanged views with IMF staff on ways to address economic policy challenges facing Pakistan, the region, and its youth. A Lahore School of Economics – IMF Roundtable Discussion “International Financial Crisis and the Role of IMF: The View from Pakistan's Youth,” is being jointly hosted by the Lahore School of Economics and the IMF Pakistan Office, at the Lahore School of Economics, on February 22, 2010. The discussion would focus on: The current international financial crisis and its national and international effects, implications of the international financial crisis on future economic policymaking, how will it affect economic liberalization, deregulation, and the role of the state? What can be done to prevent a similar crisis from reoccurring? How will the new landscape affect opportunities for addressing the region’s most pressing economic challenges, such as the need to provide employment opportunities, boost competitiveness, and find new sources of sustainable and equitable growth? And, what role can the IMF play in this respect? At this round table discussion, students will be able to voice their opinion on these topics and propose new ideas regarding the IMF’s dialogue with Pakistan and its support for the international economic community currently and in the coming years. 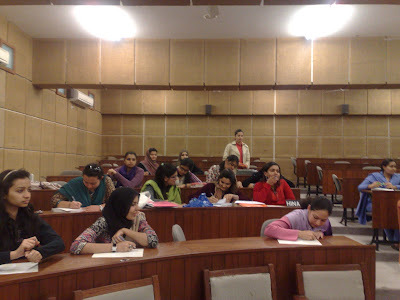 Muhammad Amer Siddque, the President and Chief Executive Officer of Xzealius Consulting and GoldenBLUE Group visited Lahore School of Economics on February 17, 2010 where he delivered a lecture to MBA, MSc (Economics) and BBA students. He spoke on competence, motivation, goal orientation, confidence, desire and will, passion, self belief, vision, strategy and leadership and shared with the students about job opportunities and explained in detail the expectations of the corporate sector from fresh graduates. Kanwer Anwer Saeed, the HR Head at Engro Corp visited Lahore School of Economics and delivered a lecture to the students of MBA and MSc (Economics) on February 13, 2010. He said that the HR Engro always preferred street smart graduates who could make a difference with their rigor, passion and desire to excell. Engro HR Head informed the graduating students that earlier this year, Engro Chemical Pakistan Limited announced a change in its name to Engro Corporation Limited as part of the Company's conversion into a single holding company structure. Engro Fertilizers and all other Engro Companies that were currently part of Engro's capital investments would fall under the umbrella of the new holding Company. Kanwer Anwer Saeed informed the students that earlier this year, Engro Chemical Pakistan Limited has changed its name to Engro Corporation Limited as part of the Company's conversion into a single holding company structure. Engro Fertilizers and all other Engro Companies that were currently part of Engro's capital investments would fall under the umbrella of the new holding Company. HR team of Procter & Gamble (P&G) which also included Omer Imtiaz - Lahore School’s Alumni and now Recruitment Manager and Wasi ur Rehman now HR Manager at P&G along with Country HR Manager Shehzeen Rehman visited Lahore School of Economics on February 16, 2010 for the recruitment of Summer Internship Batch - 2010. The presentation was followed by the aptitude test in which over 300 students appeared. 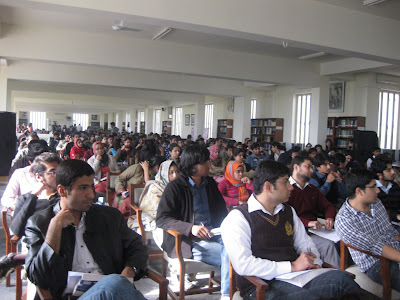 Lahore School of Economics organized the Procter & Gamble (P & G) Diversity Talk on February 15, 2010. Shahzeen Rehman, the HR Manager at P & G Pakistan gave a talk covering issues regarding female employees and hindrances faced by them while starting professional careers in the corporate sector. 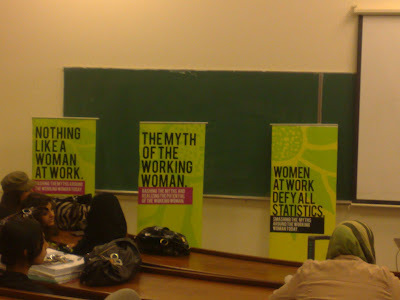 Later, students were asked to outline the main factors which they perceived as barriers for women in at the work place. Students were then divided into groups and given problems to discuss and resolve. At the end of the session Shahzeen shared her own experiences and answered the questions. 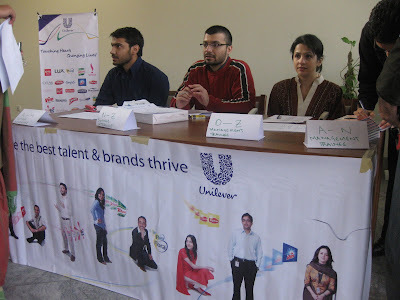 HR team of Unilever Pakistan visited Lahore School of Economics on February 11, 2010 in connection with the recruitment of Management Trainee and Summer Internship Batch - 2010. They gave a comprehensive presentation to the graduating students. Presentation was followed by aptitude tests for both programs. Over 400 students in total appeared for the test for both Management Trainee and Summer Internship programs. The interviews will be conducted in the Main Camps in the last week of February. 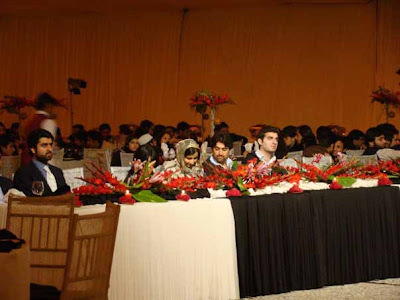 Government college university has won the Lahore School Debate 2010 by the virtue of a 3-2 split decision in the grand final against Punjab College of Business Administration. 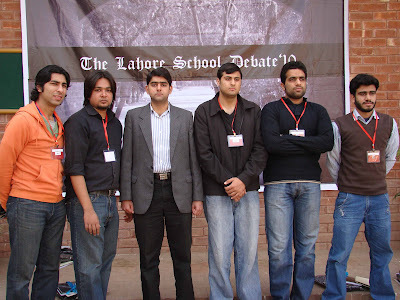 Earlier, the parliamentary debating competition of the Lahore School of Economics Association of Debaters, the Lahore School Debate 2010 started at the Lahore School of Economics on February 5, 2010). 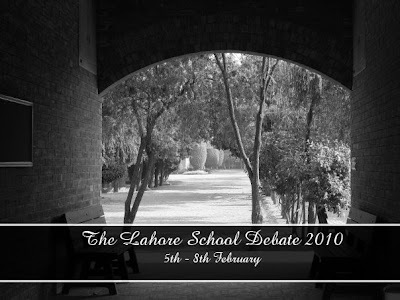 The Lahore School Debate followed the All-Asian Parliamentary Style of Debates, which employs the 3-on-3 debating format, with reply speeches. The Lahore School Debate consisted of six preliminary rounds (2 closed and one custom free-speech), followed by the knockout stages of the quarterfinals (8 breaks), semi-finals (4 breaks) and the grand final (2 breaks). 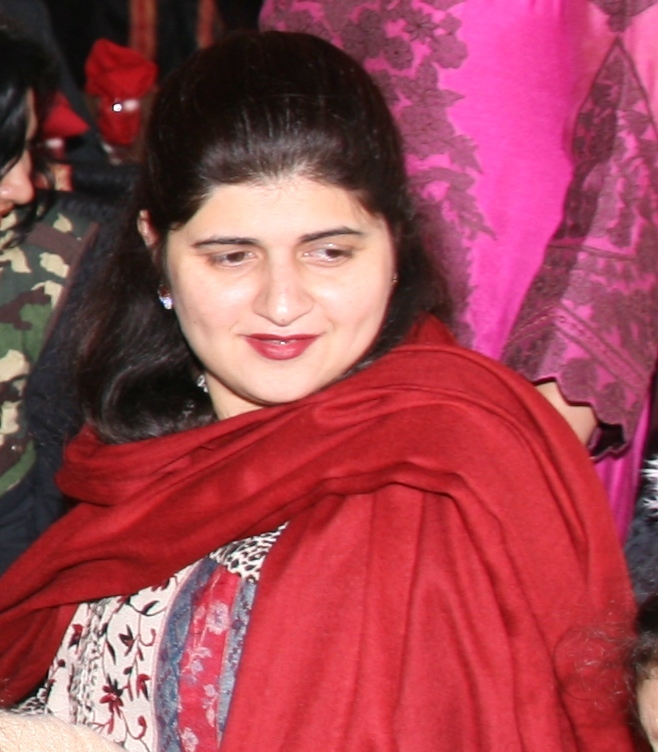 Ms. Chaudry is Assistant Professor in Economics. She has an MSc. in Economics and Management from the Lahore School and a B.A. in Economics and Literature from Kinnaird College. She teaches introductory courses on economics, macroeconomics I, macroeconomics II and environmental economics at the Lahore School. M. R. Mehkari, the President and Chief Executive Askari Bank visited Lahore School of Economics on Friday, January 29, 2010 and gave a lecture to MBA and MSc (Economics) students. The presentation focused on wide range of subjects including risk management, consumer banking, trends of mergers and acquisitions, professional capabilities, opportunities in consumer corporate, retail, treasury, operations and professional flexibility. M. R. Mehkari also explained the career path for Management Trainees. He showed a keen interest in hiring fresh graduates from the Lahore School and said that the HR Head and his team would visit The Lahore School in June for hiring fresh graduates.